Welcome to Craf-TAY Corner, the monthly feature that showcases the creative side of Talk Amongst Yourselves. If you have any creative hobbies, from drawing, sewing to Gun-Pla, even if it isn’t strictly gaming related, this is the place to show off your ongoing and upcoming projects. Last month was Christmas and the Secret SanTAY event. As usual, I always like to include a little handmade gift to my recipent. 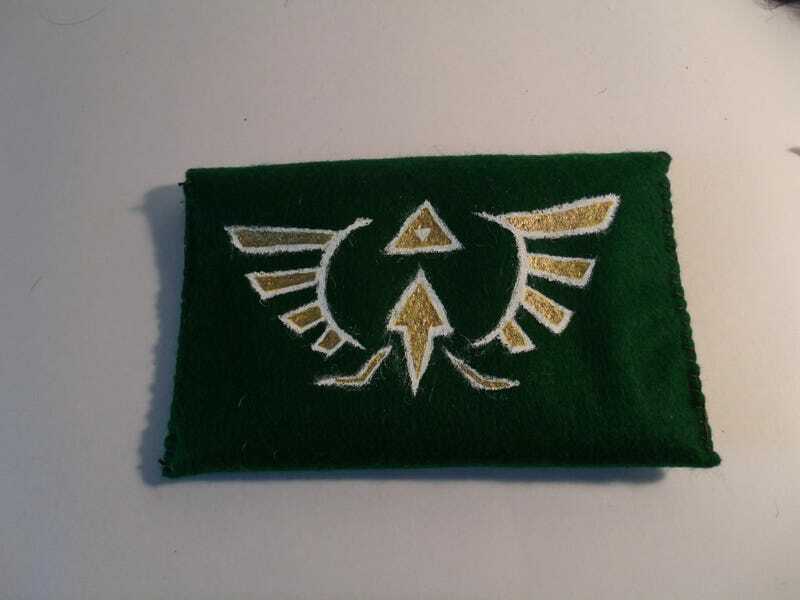 This year I got Steve Bowling, a big Legend of Zelda fan, so I made him a custom 3DSXL case. I was a bit worried that the 3DSXL wouldn’t actually fit because I didn’t have one to test it with, and I’m always a bit nervous about measurements, but he reports his system fits just fine, so, yay! I wasn’t the only one who went handmade for gifts this year. After several months of working, Harmarfan finished the incredible Mario Cart garage for his son. The thing is absolutely stunning, and his kid really enjoys it! PyramidHeadCrab not only finished a Gundam that he had been stalling on for years, he made a tutorial so you can create your own display for all those awesome Amiibo everyone got as gifts. Division-Ten got featured on Kotaku for her amazing Ratchet and Clank cosplay, Ludolovig is continuing work on his new game and talking about it with Development Diary. If you have any ongoing, upcoming or finished projects, here is the place to talk about them and show off. If you would like to be featured on next month’s blog, make sure to tag your thread ‘craftay corner’. If you have any questions about the feature, you can ask them here or contact me directly on my ConTAYct Page.